Explore the dragon. I am writing a YA novel with the Chinese zodicac dragon as a main character. Every day I will explore what a dragon can be and and what it can look like. By the end of 100 days, I will describe my Dragon. The ancient seal script form of the character for "dragon" that is now written 龍 or 龙 and pronounced lóng in Mandarin. There are nine types of classical Chinese dragons. They are as follows: Tianlong, the Celestial Dragons, are the celestial dragons who pull the chariots of the gods and guard their palaces. 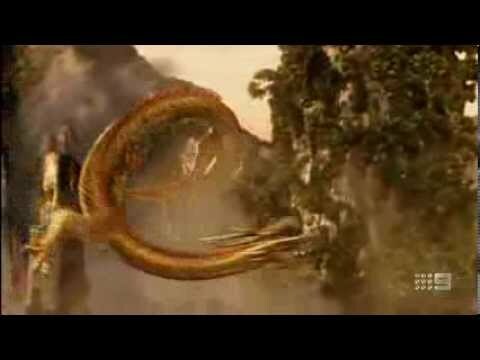 Shenlong, the Spiritual Dragons, control the wind and the rain. The Chinese dragon (spelled Long, Loong, or Lung in transliteration), is a Chinese mythical creature that also appears in other East Asian cultures, and thus is also sometimes called the Oriental (or Eastern) dragon. The symbol of the dragon represents spiraling DNA, the path to greater enlightenment. The Celestial Chinese Dragon is comparable as the symbol of the Chinese race itself. Chinese around the world, proudly proclaim themselves "Lung Tik Chuan Ren" (Descendents of the Dragon). Dragons are referred to as the divine mythical creature that brings with it ultimate abundance, prosperity and good fortune. As the emblem of the Emperor and the Imperial command, the legend of the Chinese Dragon permeates the ancient Chinese civilization and shaped their culture until today. Its benevolence signifies greatness, goodness and blessings. The Chinese Dragon, or Lung , symbolizes power and excellence, valiancy and boldness, heroism and perseverance, nobility and divinity. A dragon overcomes obstacles until success is his. He is energetic, decisive, optimistic, intelligent and ambitious. Unlike the negative energies associated with Western Dragons, most Eastern Dragons are beautiful, friendly, and wise. They are the angels of the Orient. Instead of being hated, they are loved and worshipped. Temples and shrines have been built to honor them, for they control the rain, rivers, lakes, and seas. Many Chinese cities have pagodas where people used to burn incense and pray to dragons. The Black Dragon Pool Chapel, near Peking, was reserved for the Empress and her court. Special worship services took place there on the first and fifteenth of every month. Dragon shrines and altars can still be seen in many parts of the Far East. They are usually along seashores and riverbanks, because most Eastern Dragons live in water. The Isle of the Temple, in Japan's Inland Sea, has become a famous stopover for pilgrims who meditate and pray to dragons. Both male and female dragons have mated with humans. Their descendants became great rulers. The Japanese Emperor Hirohito traced his ancestry back 125 generations to Princess Fruitful Jewel, daughter of a Dragon King of the Sea. Emperors in many Asian countries claimed to have dragon ancestors. This made them so proud, that everything they used was decorated with dragons and described in terms of the dragon: dragon-throne, dragon-robe, dragon-bed, dragon-boat. Calling an emperor "dragon-face" was a supreme compliment. People believed that rulers could change themselves into dragons. For hundreds of years, Japanese emperors sat concealed behind bamboo curtains whenever visitors came. Anyone who dared to peek was condemned to death. Everything connected with Eastern Dragons is blessed. The Year of the Dragon, which takes place ever twelve years, is lucky. Present-day Oriental astrologers claim that children born during Dragon Years enjoy health, wealth, and long life. Dragons are so wise that they have been royal advisors. A thirteenth-century Cambodian king spent his nights in a golden tower, where he consulted with the real ruler of the land a nine-headed dragon. Eastern Dragons are vain, even though they are wise. They are insulted when a ruler doesn't follow their advice, or when people do not honor their importance. Then, by thrashing about, dragons either stop making rain and cause water shortages, or they breathe black clouds that bring storms and floods. Small dragons do minor mischief, such as making roofs leak, or causing rice to be sticky. 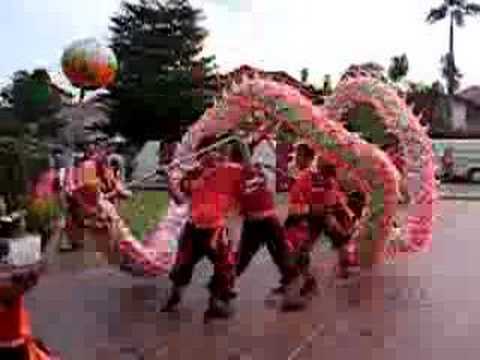 People set off firecrackers and carry immense paper dragons in special parades. They also race dragon-shaped boats in water all to please and appease their dragons. The Dragon brings upon the essence of life, in the form of its celestial breath, known to many as sheng chi. He yields life and bestows its power in the form of the seasons, bringing water from rain, warmth from the sunshine, wind from the seas and soil from the Earth. The Dragon is the ultimate representation of the forces of Mother Nature, the greatest divine force on Earth. The Chinese Dragon is often seen as the symbol of divine protection and vigilance. It is regarded as the Supreme Being amongst all creatures. It has the ability to live in the seas, fly up the heavens and coiled up in the land in the form of mountains. Being the divine mythical animal, the Dragon can ward off wandering evil spirits, protect the innocent and bestow safety to all that hold his emblem. The Chinese Dragon is look upon as the ultimate symbol of Good Fortune. A spirit screen, also called spirit wall or screen wall, (Chinese: 影壁; pinyin: Yǐngbì; literally: "shadow wall" or Chinese: 照壁; pinyin: Zhàobì) is used to shield an entrance gate in traditional Chinese architecture. Spirit screens can be positioned either on the outside or the inside of the gate they are protecting. The Chinese term "yingbi" is used to refer to screens on the outside as well as on the inside, whereas the term "zhaobi" is used only to refer to screens positioned on the outside. Spirit screens can be either solitary structures or could be attached to a neighboring wall. They can be constructed from a variety of materials such as brick, wood, stone, or glazed tile. Outer spirit screens were often status symbols and could be richly decorated. Common decorations include symbols of good luck, such as the character for good fortune (Chinese: 福; pinyin: fú). Particularly ornate spirit screens featuring a dragon motif are the Nine-Dragon Walls that can be found in imperial palaces and gardens. Spirit screens are tied to the belief that evil spirits (Chinese: 鬼; pinyin: guǐ) cannot move around corners, hence the spirit screen blocks them from entering through the gate they shield. Practically, they allow natural light and air circulation to enter a room, while obstructing vision. A solution that allows for privacy and cooling in an era without air conditioning. Who are dragons most compatible with? With Monkey and Rooster Sign: Can be a love partner easily. With Other Signs: Neutral or remotely related. From Rat Sign: The best love partner. Liaozhai Zhiyi (Liaozhai; Chinese: 聊齋誌異; Wade–Giles: Liao²chai¹ chi⁴yi⁴), translated variously as Strange Tales from a Chinese Studio or Strange Stories from a Chinese Studio is a collection of Classical Chinese stories by Pu Songlingcomprising close to five hundred "marvel tales" in the zhiguai and chuanqi styles which serve to implicitly criticise societal issues then. Dating back to the Qing dynasty, its earliest publication date is given as 1740. Since then, many of the critically lauded stories have been adapted for other media such as film and television.